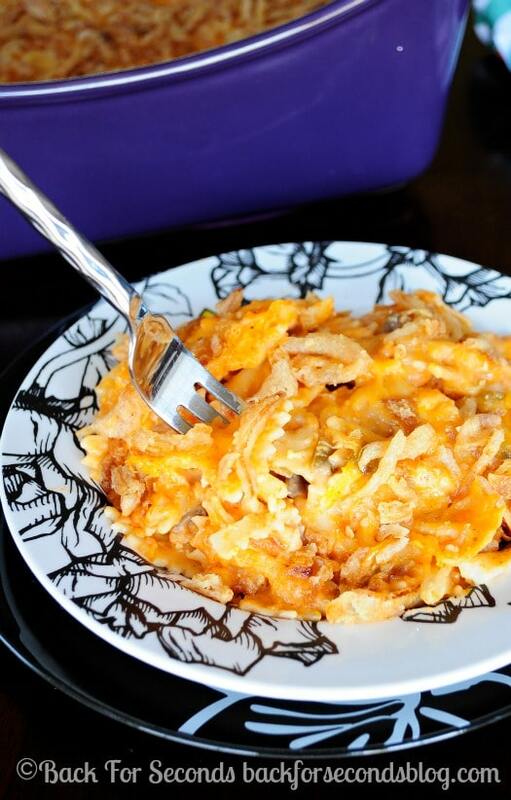 This Cheesy Mexican Bowtie Pasta is total comfort food! 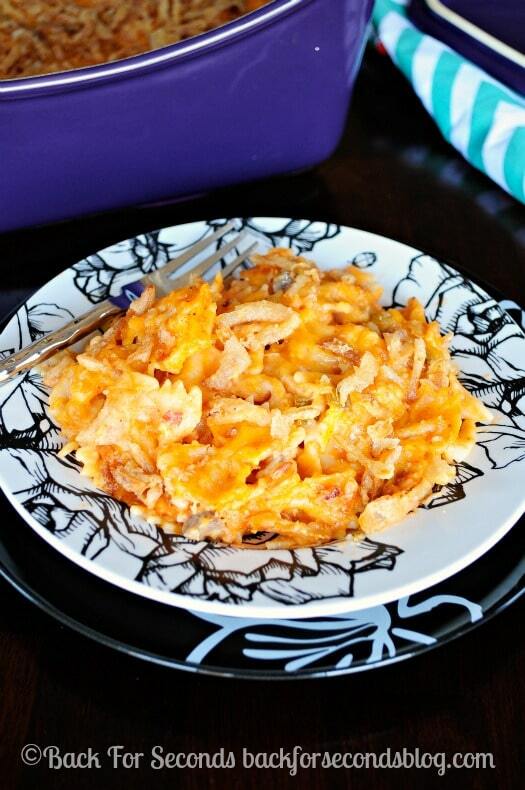 Creamy and cheesy with a bit of crunch from the french fried onions, and on the table in 30 minutes! Do you have picky eaters in your home? Kids especially can be very choosy about what they will or won’t eat. 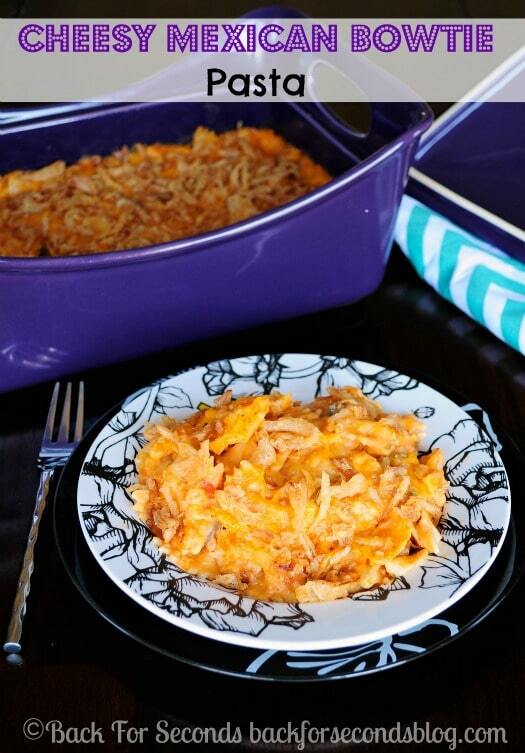 I am sharing a recipe with you today that would be hard for anyone to turn down. It’s creamy, cheesy, and downright delicious! My kids all start out as really good eaters. I’ve made all their baby food myself, and always start with veggies. I give them a variety of vegetables for a few months before even introducing fruit. I didn’t want to spoil their taste buds right off the bat with the sweet stuff, and it seemed to work! They all still love veggies, and will choose broccoli or green beans over french fries almost every time! Of course, now they all seem to have a sweet tooth too… I am stumped as to where that came from ;)Not every kid is easy to please though, and it can be hard to know what to give them that they will actually eat! Love easy one dish recipes. I bet this is delicious. Totally going to try this for dinner some night soon. I love how quick and easy this pasta is. This is a great recipe Stephanie! I love the idea of using the soup.